The present invention relates to a crystalline form of benzoate of a dipeptidyl peptidase-IV inhibitor, a method for preparing the same, a pharmaceutical composition,and a use thereof. Specifically, the present invention relates to a crystalline form of benzoate of a compound used as a dipeptidyl peptidase-IV inhibitor and represented by formula (1), namely (R)-2-((7-(3-aminopiperidine-1-yl)-3,5-dimethyl-2-oxo-2,3-dihydro-1H-imidazo(4,5-b)pyridine-1-yl)methyl)benzonitrile, a method for preparing the same, a pharmaceutical composition, and a use thereof. 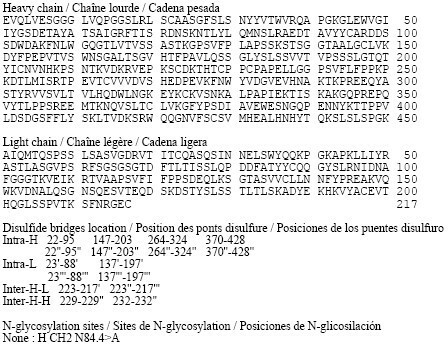 Novel crystalline form I of imigliptin dihydrochloride as dipeptidyl peptidase IV inhibitor (DPP-IV) for the treatment of and/or prevention of non-insulin dependent diabetes, hyperglycemia and hyperlipidemia. In June 2017, KBP Biosciences and Xuanzhu Pharma , subsidiaries of Sihuan Pharmaceutical , are developing an imigliptin dihydrochloride (phase II clinical trial), a DPP-IV inhibitor and a hypoglycemic agent,, for the treatment of type II diabetes. Follows on from WO2013007167 , claiming similar composition. Dipeptidyl peptidase-IV (DPP-IV) inhibitor is a new generation of oral type 2 diabetes treatment drugs, by enhancing the role of intestinal insulin to play a role, non-insulin therapy drugs. Compared with conventional drugs for the treatment of diabetes, DPP-IV inhibitors do not have weight gain and edema and other adverse reactions. 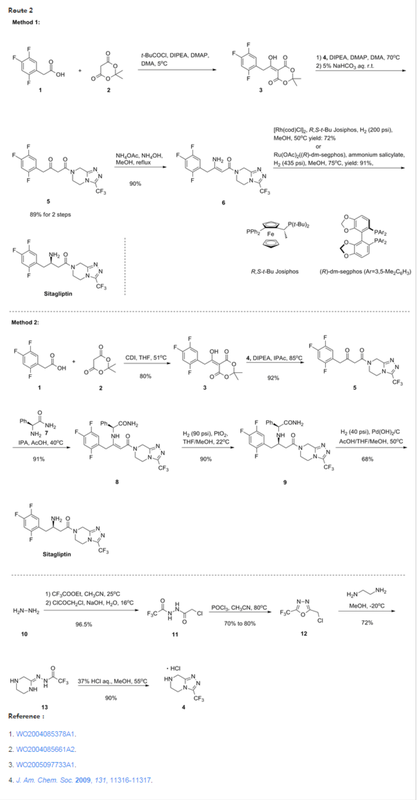 The compound (R) -2 – ((7- (3-aminopiperidin-1-yl) -3,5-dimethyl-2-oxo-2,3-dihydro- 1H-imidazo [4,5-b] pyridin-1-yl) methyl) benzonitrile (described in the specification as a compound of formula (1), as described in patent application PCT / CN2011 / 000068) Inhibitors of compounds, DPP-IV has a strong inhibitory effect and a high selectivity. The study of crystal form plays an important role in drug development process. Application No. PCT / CN2012 / 078294 discloses the dihydrochloride crystal form I of the compound of formula (1), in order to meet the requirements of formulation, production and transportation , We further studied the crystal form of the compound of formula (1) in order to find a better crystal form. 40 g (0.1 mol) of the compound of the formula (1) was added to a 2 L round bottom flask, suspended in 1428 mL of acetonitrile, and the temperature was raised to 60 ° C. The free solution was dissolved, 14.3 g (0.1 mol) of benzoic acid was added, The precipitate was dried at 60 ° C for 1 hour and then allowed to stand at room temperature. The filter cake was dried in vacuo at 40 ° C for 10 hours and weighed 51.6 g in 97.4% yield. By XRPD test, for the benzoate crystal type Ⅰ. Phase II/ III Clinical Trials of Imigliptin Hydrochloride (KBP-3853) have been approved by CFDA; the Clinical Approval Numbers are 2016L05997 and 2016L06137. As we know, in Phase I study both single and multiple doses of Imigliptin Hydrochloride were safe and well tolerated in healthy volunteers and in Type 2 diabetes patients. Imigliptin Hydrochloride demonstrated good pharmacokinetic (PK) characteristics and exhibited dose-proportional plasma exposure. The potent and long duration inhibition of DPP-4 was validated in the PK/PD study. The results of Phase I study of Imigliptin Hydrochloride warranted its long-term safety and efficacy studies in Phase II/ III. Currently, the Imigliptin Hydrochloride team has completed the production of clinical trial drug product, as well as finalized the clinical protocols and the study sites. Phase II clinical trial of Imigliptin Hydrochloride will begin in the near future. 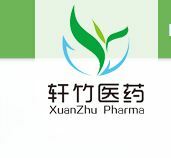 The approval of Imigliptin Hydrochloride for the phase II/ III clinical trials represents another milestone in the SiHuan/ XuanZhu’s new drug discovery history. We enter into a new clinical stage of the development process, and we have many works remaining before us. It is still an urgent task for us to accelerate the clinical development, and to launch the drug product in the China market as soon as possible. By DR ANTHONY MELVIN CRASTO Ph.D in PATENT, PATENTS on July 4, 2017 .